Why is Pest Control a Necessity to Keep Your Family Safe? Maintaining your home is not just about keeping your house clean and organised; you should also protect it from annoying creatures like pests. Pest infestation can leave behind toxic messes, contribute to allergies and there are proven chances that they might damage the structure of your property as well. Pests like cockroaches, mice, and others can make a nest in your home before you know they are there. Within a short period they will make themselves comfortable, and you may visit your physician often for the diseases caused by them. Before these pests ruin your home and health of your family, it is wise to hire pest control services as soon as you notice any sign of their presence. Why Is Pest Control Service Necessary? Prevention is better than cure, so hiring pest control Campbelltown services will help you take necessary actions beforehand to avoid the pests from entering your home. The pest control services use eco-friendly products to removes pests that are toxic for the pest but not harmful for the humans. You can go for regular inspections contract. Regular inspection can keep the bugs away, and it is budget-friendly as well. Yes, pest control Campbelltown is safe. Actually, the use of pest control service can give you peace of mind. They have knowledge and experience to handle any pests. Pest control services are safe because they provide eco-friendly solutions. The pest control treatments are applied using strategically measured amounts, with specialised equipment. It ensures that the product applied binds to the intended surface and is dry within 2minutes. So the products used for controlling pest are safe as there is nothing left behind that can cause irritation. Pests can carry harmful bacteria that can cause serious illnesses. Cockroaches are well-known for allergies and asthma-related problems as they carry e-coli and salmonella. Other pests such as ants can contaminate food; bees can cause allergic reactions and other injuries. So when you control the infestations of pest with the help of professionals you can prevent your family from the diseases caused by pests. 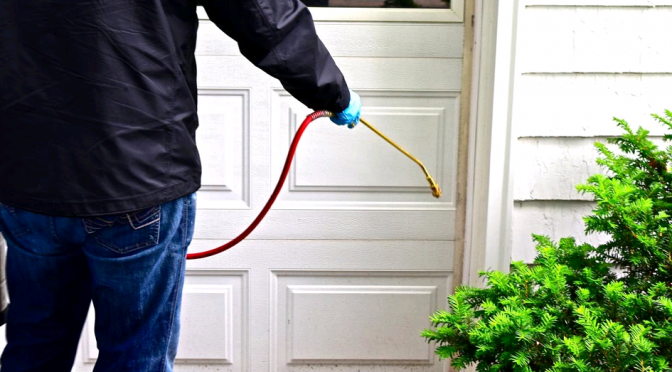 Eliminating the source of the problem is the key to a successful pest infestation removal. Even though you use some of the chemicals to kill the pests, you cannot find the source and eradicate it. When you hire professional services they will not only deduct the source and effectively avoid feature infestations but also help you in bird proofing Campbelltown if you have bird infestation problems. From a long-term perspective, it is advised to hire professional pest control Hornsby services. This is due to the damage that a pest can cause to your foundations, floors, furniture, walls, and other properties that will eventually need to be repaired.